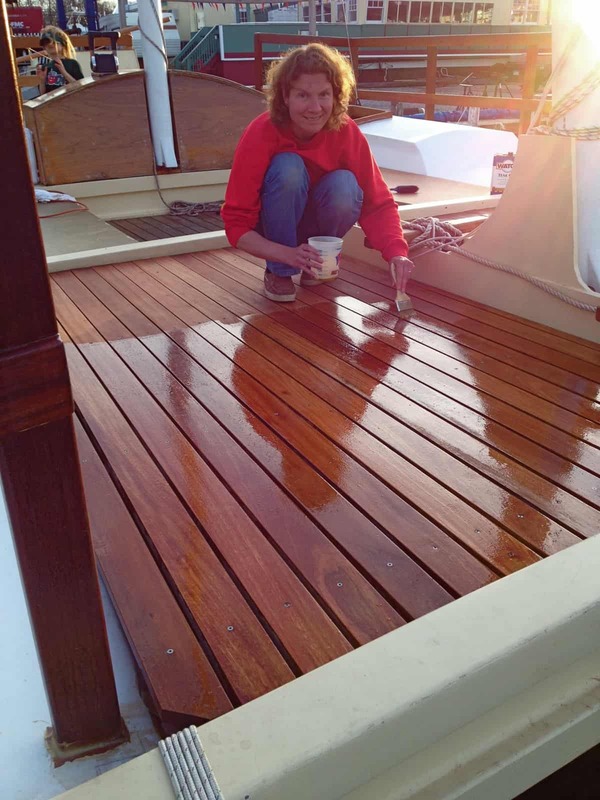 This week’s project is refreshing Mon Tiki’s deck, all 500 square feet of it! 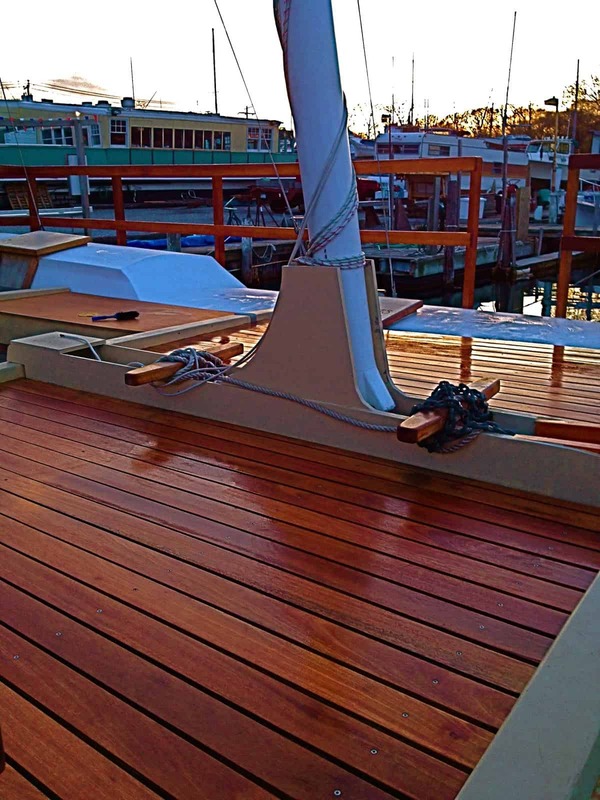 Mon Tiki is decked with Blue Star meranti planks (aka “Philippine Mahogany”) supplied by Riverhead Building Supply. 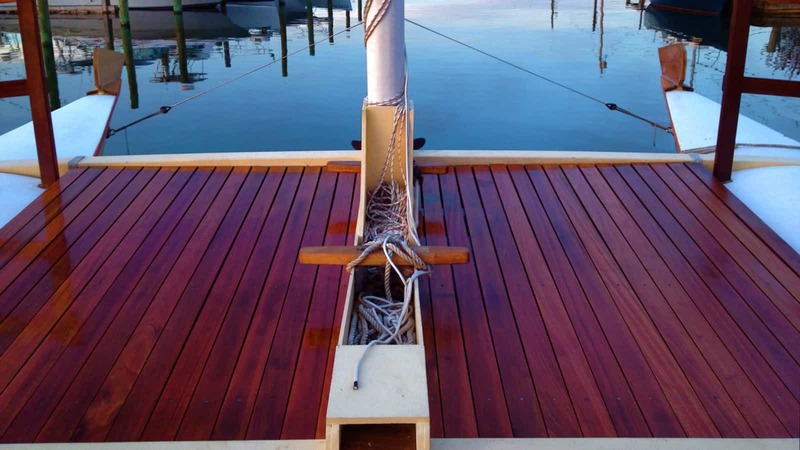 Tom at the Montauk RBS hand selected each plank for us. 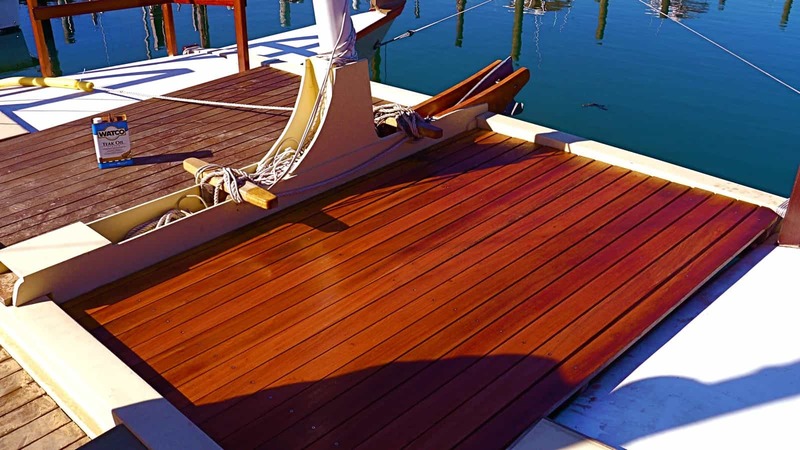 We chose Blue Star because it’s sustainably grown, long wearing, and takes a rubbed oil finish beautifully.